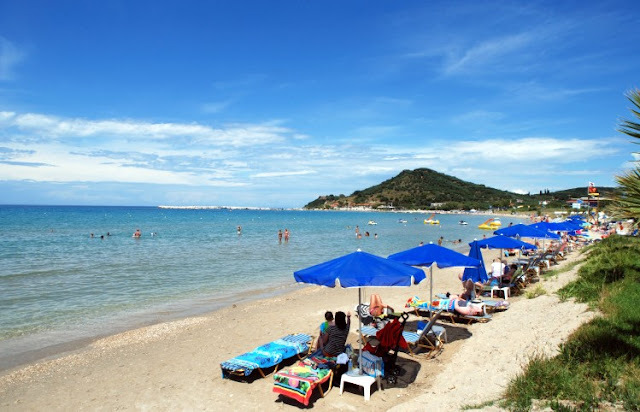 Zakynthos Travel Guide: East Coast beaches in Zakynthos! 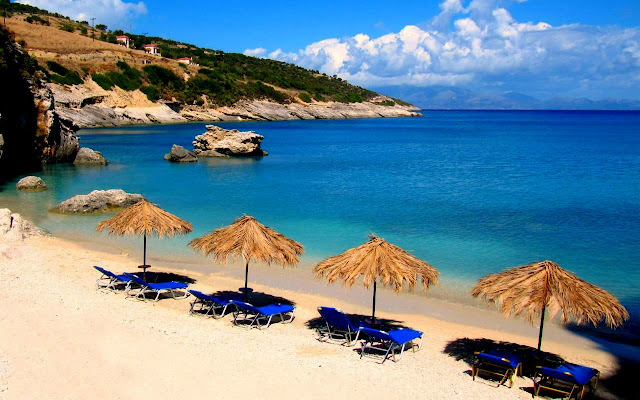 Zakynthos is an ionian island well know for its beautiful beaches. 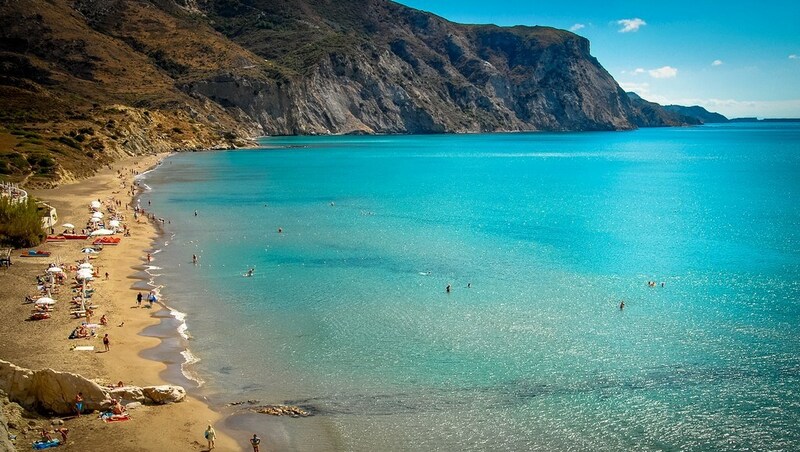 The east coast of Zakynthos has the safests beaches as the water is usually calm and shallow. Most of them are ideal for families, couples and young people who enjoy watersports. Alykanas beach: sandy beach, shallow and warm waters, two beach bars, approachable by car, water sports are allowed. 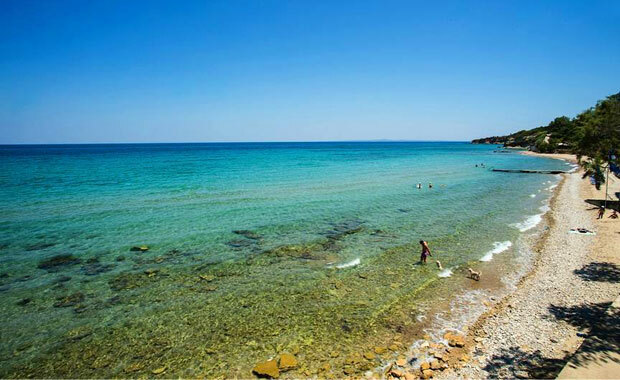 Xigia beach: about 6-7km northwest of Alykanas. The beach has pebbles and it's getting deep quickly. Not a developed one. It is famous for its picturesque landscape and the high concentration in sulfur. It may be annoying in the beginning but you will get used to it after a while. Makris Gialos beach: very clean waters, pebbles, not a developed beach. It is located between Alykes and Saint Nickolas (Volimes). Ideal for couples or good swimmers. 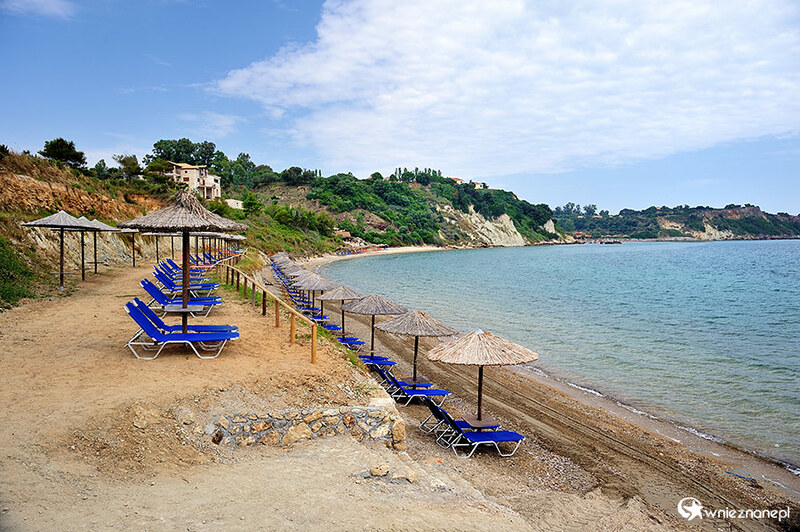 Tragaki-Ampoula: a quiet, sandy beach between Alykes and Tsilivi resort. It is developed and the water is shallow. 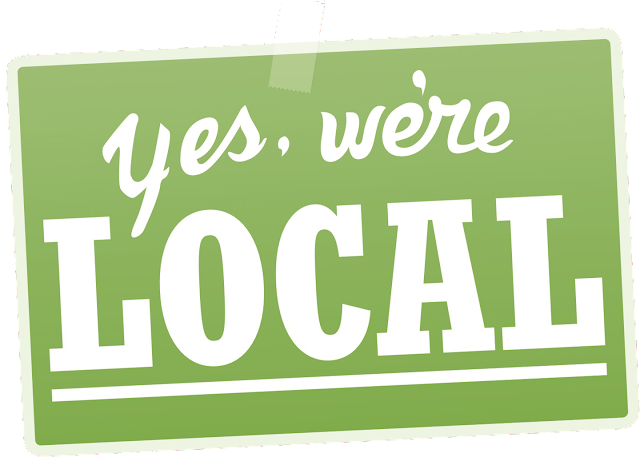 A few beautiful local taverns are found close by. Porto Azzuro: a beach surrounded by pine trees. 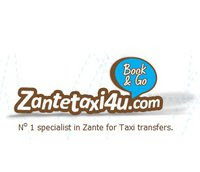 Developed, with a lounge beach bar under the same name. Crystal clear water, ideal for couples. Banana beach: the biggest beach of the island with white sand, beautiful waters and full of life. 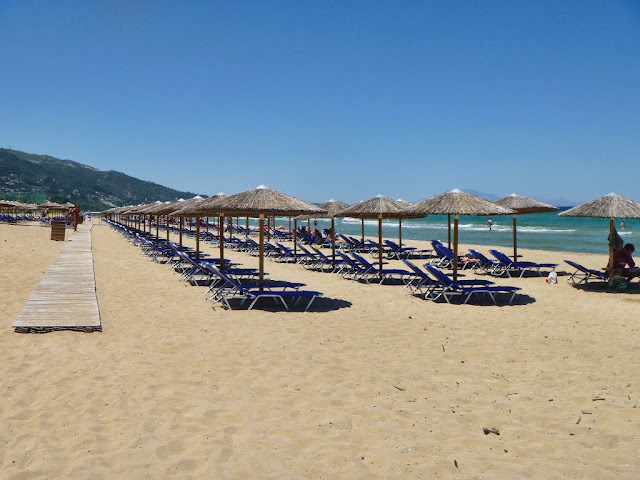 It is developed and has two beach bars. Water sports are allowed. 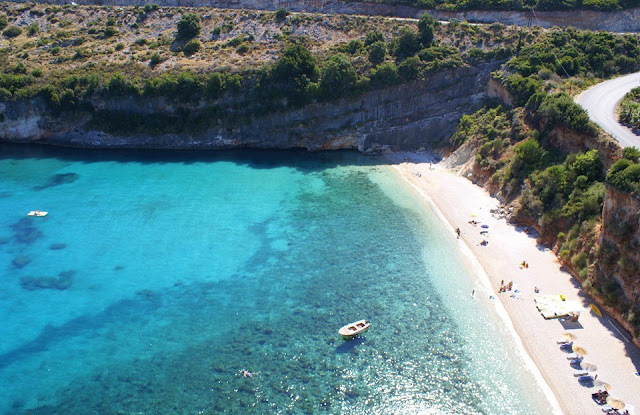 Porto Roma: a quiet little beach with sand and pebbles. There are some sunbeds but they are not many. You may provide yourself with snack and beverage or water from the little tavern close by. There is enough place for parking. 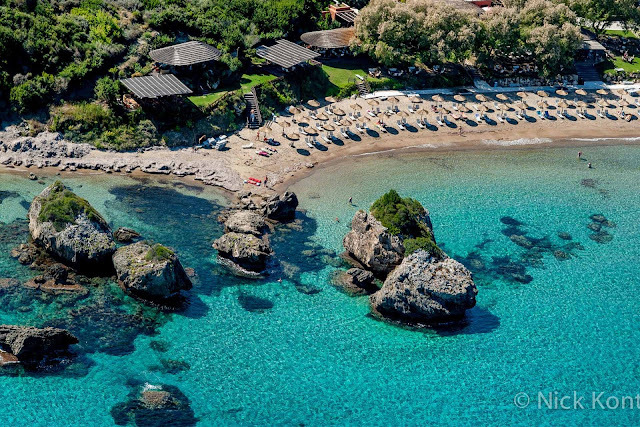 Saint Nikolaos (Agios Nikolaos) beach: it belongs to Vasilikos resort. A cosmopolitan, sandy beach surrounded by trees. It is next to the most famous beach bar of the island. It is approachable by car and has plenty of space for parking. Ideal for young people.